External HDDs have enough storage for you to easily back up your data, rather than keeping it on USB sticks like in the “old days”. If you need to back up some documents and your smartphone photos, 1TB should be plenty. If you want to store your music collection, video files or keep a clone of your internal storage go for 2TB, 4TB and above. Backing up your files can take a lot of time, depending on the size of your data. If speed is important to you, look for an external HDD with a transfer speed of at least 120MB/s for writing and 130MB/s for reading (USB 3.0 connection). The older drives using USB 2.0 would limit speeds to around 35MB/s, approx. 4 times slower. If you’re often on the go, portability is key. The most frequent size is 2.5″ inch for portable HDD. They do not weigh much, they can help you easily move data from one device to another. The 3.5″ inch HDDs are larger and heavier. 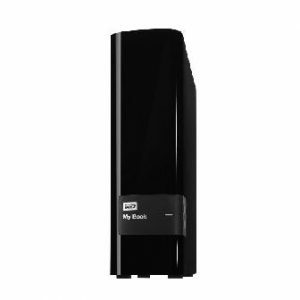 A rugged exterior can be handy if you want your external HDD to withstand shock, or even fire or water. External SSDs can survive more brutal treatment. The more money you spend, the better the protection will be. 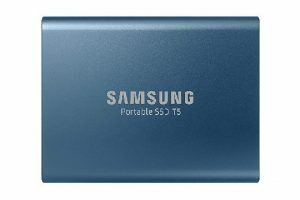 Nowadays, all external HDDs have USB 3.0 connections, or even USB 3.1. Some older models have a USB 2.0 connection. There are also some models with Ethernet or Wi-Fi connections, to share data using the network. For 2.5″ inch HDDs, the USB cable, in addition to transmitting the data, also serves to power the device. Larger 3.5″ inch HDDs that consume more power need a separate cable. 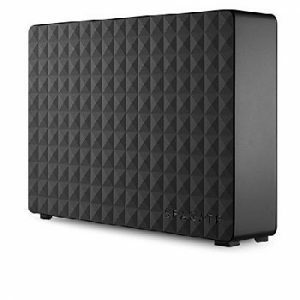 It’s difficult to choose the most reliable external HDD. 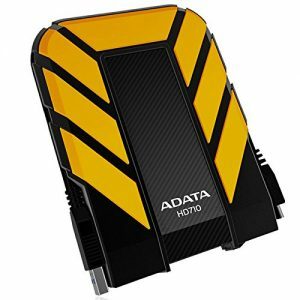 The technologies used in traditional HDDs or SSDs imply a limited lifespan, which is why warranties are relatively short – one to three years. What’s important, is not to rely on any single drive for storing your backups. Ideally, you should have three copies: one on a PC, one on a backup drive, and one in the cloud. To protect your data in the event of losing the drive or having it stolen, you can encrypt it. You can either use hardware encryption on the whole drive if supported, or you can use software to encrypt parts or all the drive otherwise. 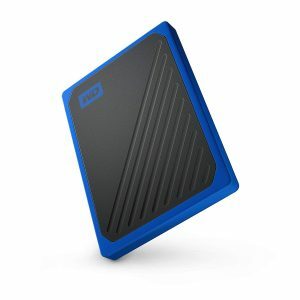 There’s a huge range of external HDDs for sale, so I’ve picked some great external HDDs to help you find the perfect one for your needs.